In chosing Wisconsin Congressman Paul Ryan to be his running mate, Mitt Romney has set the stage for an an ideological battle that will force our nation to undergo some deep soul searching. By picking Paul Ryan, Mitt Romney has finally proven to conservatives that his committment to fiscal responsibility is based upon more than just platitudes and political gamesmanship and in doing so he has not only fired up the base of his Party, he has gotten the attention of voters who are yearning for leaders of substance and who are willing to provide the reforms needed to solve our problems instead of prolonging or exacerbating them. 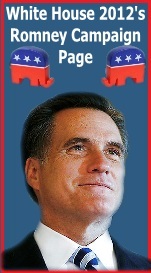 That is the message offered to us by this first major decision of Mitt Romney’s presidential campaign. By picking Paul Ryan, the Chairman of the House Budget Committee, Mitt Romney has cornered the market on the most important issue facing Americans today, the economic health of our nation and made it quite clear that he is willing to provide our economy with more than just lip service. As the House Budget Chairman, Ryan has dedicated himself to getting this nation’s economy back on track by actually addressing all the third rails in politics, including the mountain of entitlements that have brought our nation to the brink of bankruptcy. As the architect of a budget plan that chooses to address our entitlement and spending problems, Paul Ryan has been one of the few political leaders with the fortitude and courage to address our problems honestly and realistically. And by nominating Ryan for Vice President, Mitt Romney demonstrated the courage to recognize and acknowledge that Ryan is an asset that we must give a greater role to play in our governance. As such, Romney’s decision to pick Ryan can probably best be described as purposeful. 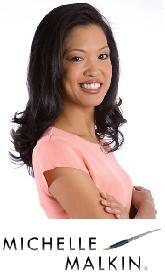 Romney could have a chosen a running mate based on a number of political and electoral considerations. He could have picked someone like Bob Portman in the hopes that Portman would have delivered the must win state of Ohio to Romney. He could have picked someone like Condoleezza Rice with the intention of playing gender politics or Marco Rubio for the sake of a focussing on ethnic politics in an appeal to the Hispanic vote. There were any number of political based choices that Romney could have made in an attempt to appeal to different electoral demographics. But Romney did not to give into such political temptation. Instead he chose to appeal to all Americans by carefully deciding to put policy considerations over political considerations. And it was a courageous choice. It is no secret that Democrats will try to paint Paul Ryan as a heartless conservative whose budget plan attempts to destroy Americans by cutting everything from Social Security benefits to the elderly, to slashing assistance for the impoverished. 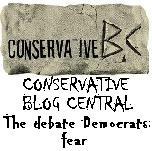 But Romney did not succumb to the fear of such propaganda. Instead, by picking Paul Ryan for Vice President, Mitt Romney demonstrated the courage to confront such accusations. 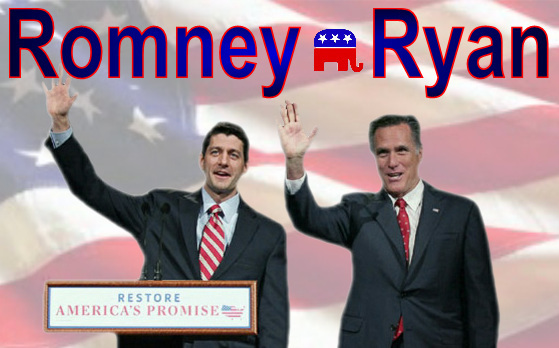 In fact selecting Paul Ryan seems to signal Romney’s desire for President Obama to make such accusations so that the Romney-Ryan ticket can dispel those myths once and for all. 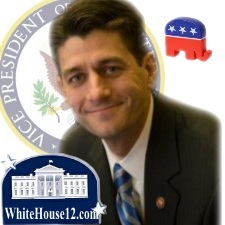 But beyond the courage behind Romney’s decision is also the worthiness of Paul Ryan himself. Paul Ryan is young but experienced, confident, humble, and uses soft spoken words to convey hard hitting facts as he avoids demonizing the opposition. He is a down-to-earth, friendly, likeable, family man, who can relate to voters and still make them feel confident in his ability to step into the presidency if the need arose. So much so that almost exactly one year ago today, I saw fit to endorse Paul Ryan over Mitt Romney for President. Given that small aside, you won’t hear me complaining about Romney’s choice. It is a decision that leaves me confident in Romney’s judgment and excited by the promise of his campaign and potential presidency. By picking Paul Ryan as his running mate, Mitt Romney neglected to make the safe choice that I feared he would make. Instead he made a bold choice, the boldest choice of his political career and in the final analysis I believe Paul Ryan will prove to be an extraordinary choice. Few people have the type of natural command of the budget that Ryan does. And as a protegé of conservative icon Jack Kemp, Paul Ryan is the embodiment of fiscal conservatism and today, Mitt Romney boldly embraced those principles and ensured us of a presidential campaign that will put the ideological direction of our nation at the forefront of the campaign and force us to debate the real issues, the issues that President Obama is trying to avoid. 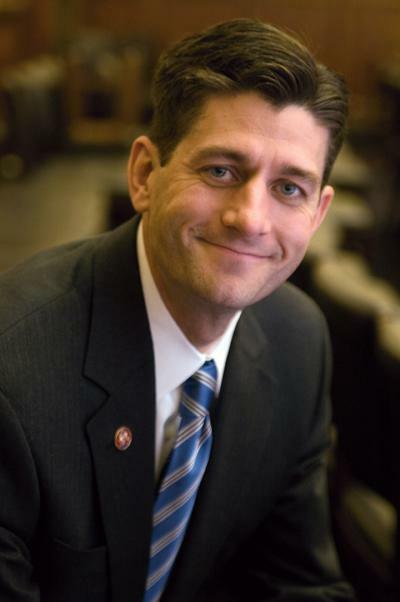 Reports have indicated that Wisconsin Congressman and Chairman of the House Budget Committee Paul. Ryan is in the final stages of deciding on a presidential run. According to The Weekly Standard’s Stephen Hayes, Ryan associates have been quietly going around and laying the groundwork for a run which has included establishing the deadlines for gaining ballot access to the ballot in each of the 50 states. Hayes reports that Ryan has been discussing the possibilities of running with advisors and close firlends about a run since last spring. He further adds that Congressman Ryan had been expecting Indiana Governor Mitch Daniels to run and he was looking forward to a Daniels candidacy. But after a call from Governor Daniels to Ryan to give him a heads about his decision not to run, Ryan’s thinking about a run for President changed profoundly. For its part Roll Call reports that the Congressman discussed the matter with House Speaker John Boehner when the subject of a spot on the Joint Committee on Deficit Reduction arose. But Roll Call also reports that while Paul Ryan is considering a run for president he is unlikely not to run for the same reasons that held him back so far……….to avoid the fundraising and political demands that would keep him away from his family for extended periods. Another consideration for Paul Ryan would also be the possibility of losing the election and losing his influential position of the House Budget Committee where he is doing good and critically important work. The interview which was conducted last Tuesday, came before the official entry of Texas Governor Rick Perry, who as of today, according to a Rasmussen survey finds Perry the frontrunner in the race ahead of Mitt Romney by 11% and Michele Bachmann by 17%. Whether or not Congressman Ryan believes that Rick Perry is the candidate who can offer the “strong and principled articulation of the kind of limited government, opportunity society path” that we need, has yet to be seen, but either way, the Congressman can’t really wait much longer to decide. The very latest he can get into the game would be October. Anything beyond that will be placing any chance for the successful financing and organizing of a campaign a a great disadvantage that will be hard to overcome. Much like Paul Ryan, my thinking about the Republican presidential race also changed “profoundly” when Governor Mitch Daniels decided not to seek the nomination. For me, Mitch Daniels was one of the best qualified people to address our predominant economic problems and was a candidate with whom a good campaign to defeat the President could have been built around. With Daniels out, and others like Sarah Palin not in, while I have found many things I liked about such people as Mitt Romney, I have not yet been confident enough to throw my support behind any of them. But that will not be the case if Paul Ryan runs. 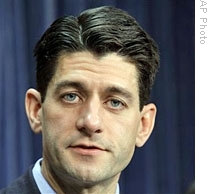 If Ryan runs, White House 2012 will have itself a Ryan 2012 correspondent in me. 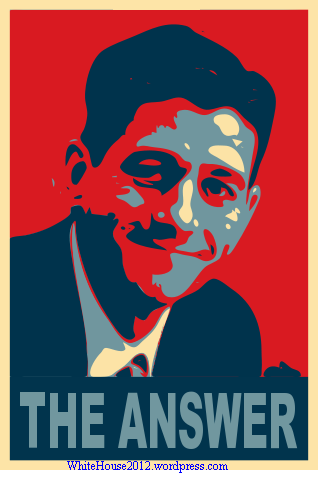 Paul Ryan represents the true future of the G.O.P. and as a fiscally responsible leader he is just what America needs. He is a new generation Republican, one who works from the premise of what is best for the nation, not for his poll numbers. That kind of thinking may not win a him the nomination through the type of popularity contest that is today’s politics, but it is the type of honesty that American voters should welcome and demand. At some point one must stand behind what they believe in not just what they think will win. And beyond any shadow of any doubt, I believe in Paul Ryan , therefore if Ryan does decide to run, win or lose, I will be behind him either until he wins the nomination and the presidency or ends his campaign. On this night, while our President rightfully took center stage as he addressed the condition of our nation and plotted his plans for its future, another man demonstrated himself to be a sincere, respectful and effective spokesman for the loyal opposition that disagrees not with the forward direction for our nation to go in, but thepath to take in take in that direction. Ryans speech was a personable and compelling presentation not of the differences that Republicans have with Democrats but of the differences between Republicans and Democrats. Right off the bat, he brought to the life how the newly led Republican House began address to the issue of fiscal responsibility by cutting its own budget and adopting new spending restraints. 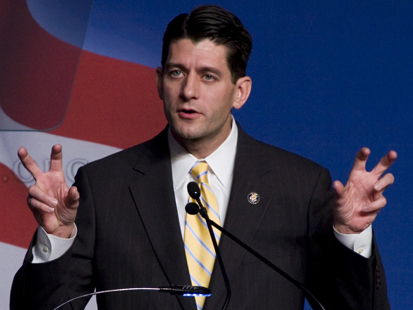 As Ryan continued, while he laid blame for the budget deficit that he described as the greatest problem we face today, at the feet of both political parties, he convincingly argued for the type of fiscal responsibility that he, as the Chairman of the House Budget Committee will fight for and needs our support in. He contrasted the intended economic path that he and his Republican colleagues wish to plot for us with that of the record levels of spending that President Obama and the previously Democrat controlled Congress took us on. Ryan held the President and Democrats accountable for trying to pass off reckless spending as effective economic investment. He held the opposition Partys feet to the fire on a healthcare reform mandates that businesses and unions allover the nation are seeking waivers from in an attempt to avoid crushing bureaucratic expenses that will break their backs. Congressman Ryans speech was one which brought to light many of the reasons for the current state of nation and impressed upon all Americans that the issue that is currently to our greatest detriment is looming debt. He reminded us that while nations like The U.K., Ireland and Greece have already succumbed to the fallout of massive spending and spending, the United States has not yet fallen into the disarray that they have but is about to. But through all the facts and through all the generalities which he used to paint a picture of how Republicans intend to lead us while working with the President, it was Ryans presentation that helped carry his message over the finish line. Paul Ryan was articulate, passionate, confident and with a look that was straight in our eyes, he offered the G.O.P. a response that was convincing and to be proud of. That line was typical of those that that Ryan responsibly articualted as he reinforced the guiding principles behind Republican policy intentions. Another memorable quote presented itself when Ryan reminded us that it is no coincidence that Americans trust in government is now at its lowest as government is at its largest. In the end, the Republican response to the Presidents State of the Union will not get the mileage that President Obamas speech will for him and the agenda he put forth for our nation, but it has helped keep many American minds open to the Republicans legislative approach to improving our economy, especially under Ryans leadership as Chairman of the House Budget Committee. 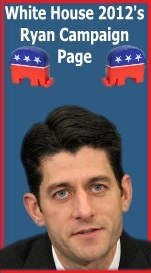 Paul Ryan has made it clear that he does intend to run for President and it is safe to say that he wont be on the top of the ticket in 2012. However, after tonight, Paul Ryan is very likely going to be on the short list of vice presidential options for the man or woman his at the top of the ticket. Despite the charade of some Democrats sitting in the Presidents audience with some Republicans, the undeniable political and ideological divide that exists in Congress as well as with in the hearts and minds of American voters, will not allow for democrats to praise Paul Ryans response. Indeed Republican partisans may at most only provide President Obama with polite passing words. But within the existing partisan divide, Congressman Paul Ryan was able to deliver a partisan message in a way that allowed many to see him as very viable bridge in that political divide.